I hope you had a wonderful Easter weekend. We had a beautiful four day long weekend and even though the weather was bright and sunny. it was chilly and very windy. With some rain in the forecast, I thought I would show you this little craft we did a while back. This one is from the Draft vault…I hope you enjoy it! The expression comes from early England where the peasants made the roofs of their houses out of straw. Dogs, cats and mice would sleep on the roof which was the warmest place they could find (they weren’t allowed in the houses). When it rained a little bit more than a medium shower, the mice would fall of a run away. When it rained heavily, the cats and dogs fell off. 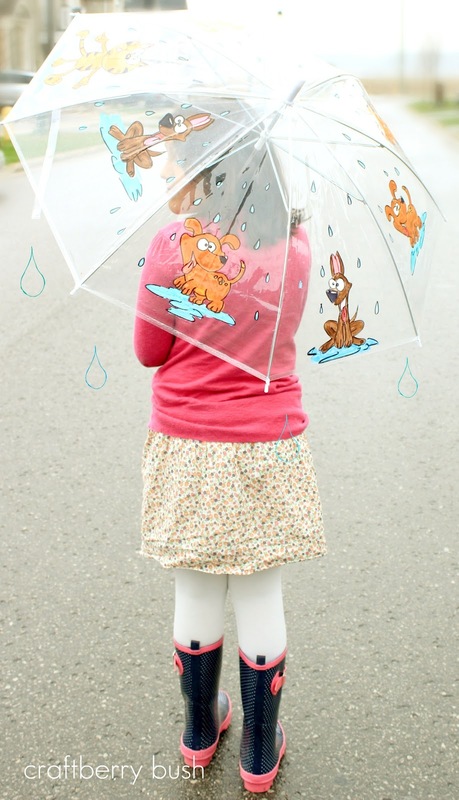 If a peasant were to look out, it would have seemed it had been raining cats and dogs (source). A while ago, Bella had a little play date here at home, so we ventured to the Dollar Store in search of craft materials. While browsing through the aisles, I spotted these clear umbrellas and thought they would be perfect to decorate with silk flowers. On our drive home, I thought it would be very cool to have the girls use Sharpies and write the words, ‘April showers bring May flowers’ in their own handwriting. That thought led to ‘raining buckets’, ‘it’s raining cats and dogs’ and the song ‘it’s raining men’, which then got stuck in my head, but that’s a different story. 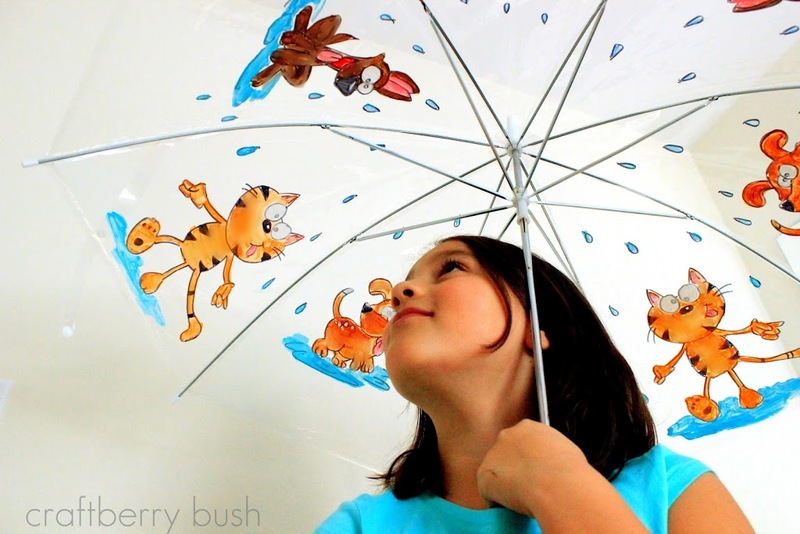 Needless to say, we ended up drawing and painting cats and dogs on our umbrellas. 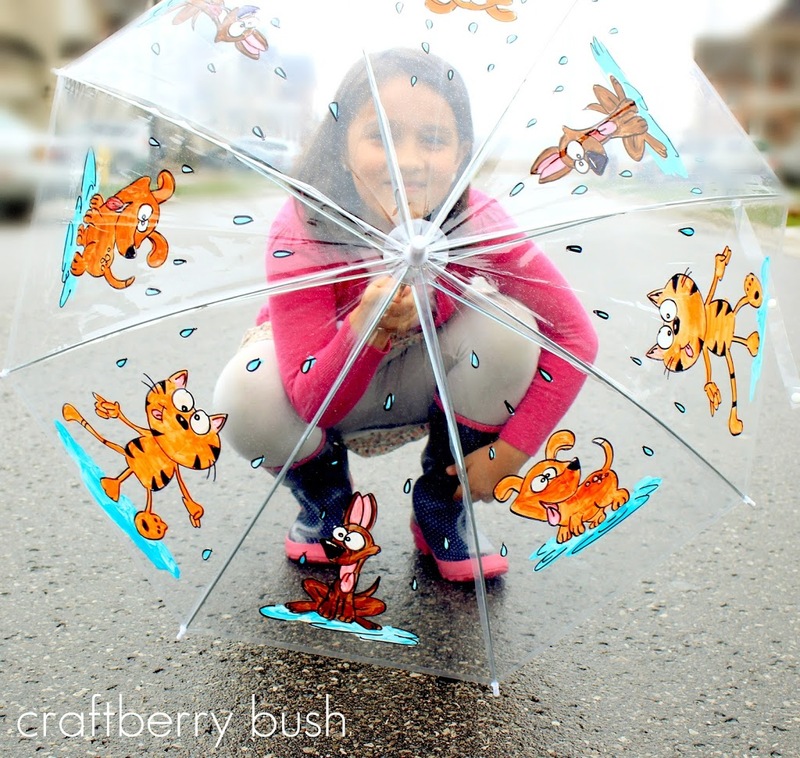 I drew these little guys free hand but you can easily print the image of the picture and trace through the see through vinyl on the inside of the umbrella. We then used DecoArt Acrylic outdoor paint to fill it in. They turned out really adorable, but just as I thought I was a genius for coming up with this idea, I realized that I’m not the first one to have done it and I would feel bad taking credit for an ‘original’ idea. You can even buy your own kit here and also done by this creative lady here. Thank you so much for stopping by. I hope you all have a great week. Previous Post: « A little bird told me who the winner was….. This is the BEST idea! My kids would go crazy over this project! 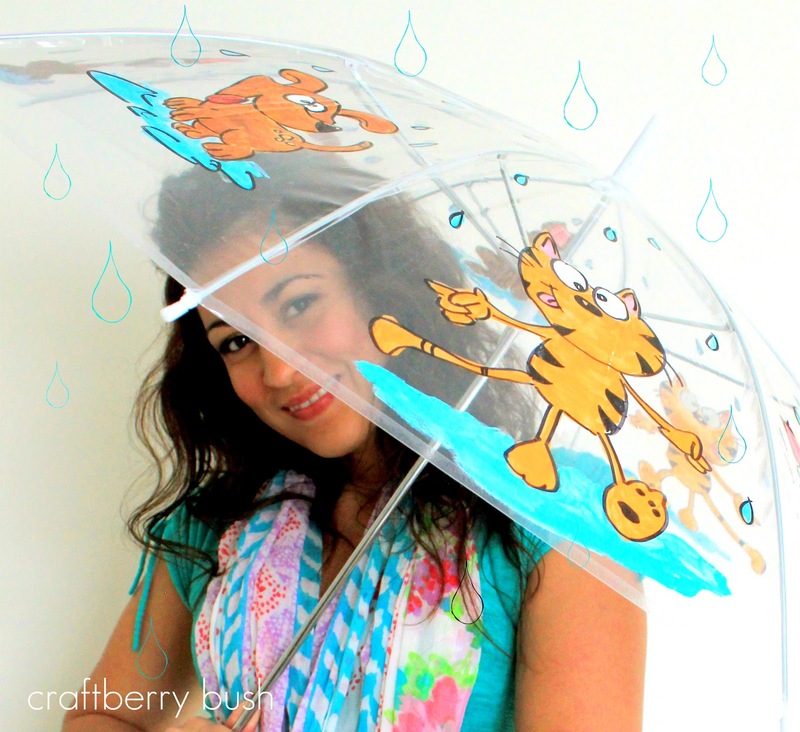 I have got to find clear umbrellas now! Thanks for the inspiration!! I LOVE this. 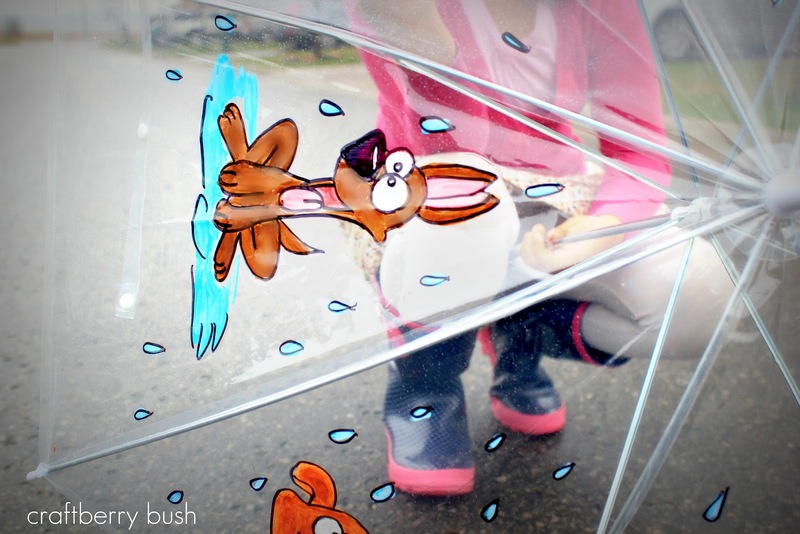 This umbrella is too cute, and you as super talented, my drawings would not have come out like that lol. Loving your blog, so glad I came across it!